In this Utopian Translation Category, my mission is to ensure high quality translation services to Utopian-DaVinci platforms. In the past few weeks, we have been actively forming new language teams and gauging the teams performances of their translation work. A. The desired performances to aim for in the translation teams. 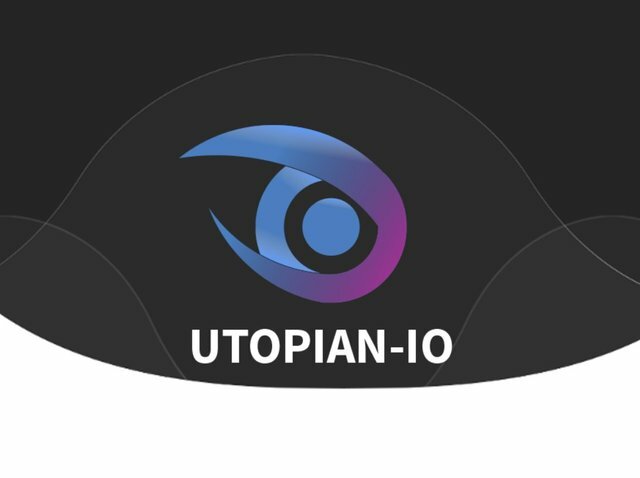 As a community manager for both the Utopian and Davinci platforms, I aspire to bring the translation category in Utopian.io from high level of performance to peak level. For anyone to succeed in his field, one must give the best of his ability. This is the only way to reach to high level of performance. High level of peformance does not mean that the quality of the work is at the highest standard. It just means that our skills have reached to the threshold of what our abilities allow at the moment in time. There is still lots of room for improvement. Each time, we move higher up in the graph of performance. When a person is eager and excited, he is pushed to perform at high level. He drives himself to the limit and gains satisfaction at the resulting performance. With clarity of goal, he stays focused and disciplined. If you have been there, you know exactly what I mean. Not only the performance of the work is excellent, the person is present, vibrant and strong. This is what I am able to see so far in our first group of language moderators and translators. At the same time, we need to be motivated to do our best, not just in the initial bursts of enthusiasm but to move towards the 'peak' level. This requires us to move on to uncharted territories where risks and bolder actions bring us to the peak. Here, creativity comes into play and things are no longer measured with black and white rules. This is what professionals call 'getting into the flow'. It's like playing piano. You can play all the musical notes correctly without hitting a wrong note, but that piece of music is dead. No one wants to listen to it. You end up with no audience in your performance. Your music doesn't flow. The sounds are all mechanical. There is no life. It is like listening the music through a computer midi machine. When you get to the peak level, you have moved away from the static state of performance to a heightened level of productivity. The secret? Be courageous in taking criticisms. Crticisms are harsh and hurtful at times. Be creative! Turn weaknesses into strength when your work is criticized. Your courage in this area will help you get ahead because when others quit in the risk of not accepting criticism, you march on. Be willing to be changed. Being defensive only limits your performance. When you "flow to the peak" your level of performance becomes limitless. Let me tell you: your teams get ahead faster with further clarity and courage when positive changes take place after criticisms. Your team becomes more efficient and prolific. Your team produces much more in that energy level than the sum of mediocre low performance teams who punish themselves by listening only to their internal voice. This is the path I am taking the new translation teams so that the moderators and translators can perform at their peak levels in their time. We opened a window of recruitment to start selecting suitable moderators and translators. All candidates were asked to send in their applications via a Steemit post. Although it was stated initially that these 5 languages were the first group to move forward, applicants of other languages also came in. We received applications for 23 languages. Such enthusiasm poured in unexpectedly. We discussed this in the Friday's Utopian managers meeting whether we should also move forward with other languages that seemed ready. The advice was to keep to the initial 5 languages to go forward first. This is a smart move as want to ensure 'quality' of translation teams before quantity. Candidates applying for the language moderator role are required to explain why they are suitable for the moderating role. You can read about the requirements in this post. Selecting the right moderator for each language is our first priority as quality of translation hinges on his/her assessment & scoring of translators' contributions. For each of the 5 languages, there was at least 1 candidate for the moderator role. Our task was to choose the best moderator for that particular language. The moderator who got chosen demonstrated professionalism in English and native language, as well as equipped with leadership and management skills to lead teams. The translators' responsibilities are not as high as that of the moderators, therefore the ultimate criteria for them is proficiency in English and in their native language. Working under a professional moderator, they can also grow in their translation skills. For the Spanish group, 5 translators were selected out of 26 candidates. That was an awesome task. For the Greek group, all 5 translators proved to be qualitifed so they were all chosen. For the Italian group, only 2 translators proved ready to be accepted in this first assessment. For the Chinese group, the 2 who applied for translators also applied for the moderator role. Since they did not get the moderator role, they got the translator role. For the German group, this was a unique guy as he was the only German who applied. He proved himself fully qualified for the role of moderator. In setting the translation category in Utopian.io on fire, it is the teams who make this category awesome. We are proud to present to you the people behind these 5 Translating teams. These 5 language teams are the forerunners spear heading the Translation Category in Utopian.io. Only Spanish and Greek have full teams. Italian & Chinese teams have 3 and 2 translators respectively. As for the German team, the moderator is a commander with no troops in this first round. The 15 translators started translating their favorite FOSS projects with Crowdin and submitting them to Utopian.io for potential reward on June 17th. You can read this report written by @davinci.witness. It has been about 3 weeks for these 5 languages actively going forward. The Crowdin platform was once again vibrant with passionate translators contributing value to FOSS projects via Crowdin. A total of 69 translation contributions came in and they were greatly rewarded for their work by @Utopian-io. 5 Language Moderators + 15 Translators proved themselves worthy of the rewards generously given by Utopian.io. As you can see, the number of contributions increases by the week. The performance level of each group is steadily moving forward from 16 to 24 to 29 contributions / week. The scoring of the translators contributions also moved steadily upward as quality also increased in their work. Since all translators are just beginning their work, it has not reached to the high level yet. The moderators are working fearlessly to correct the mistakes and inaccuracies of the translation. Both quality and quantity are growing in a slow but steady pace. This has been an exciting month in the Davinci Discord Channel where more than 100 members exchange ideas everyday. Everyone is so active there. Never a boring moment. Even for the languages that have not been selected yet, the candidates are chatting away with each other in their language rooms. There are 2 main problems I could see in the post which I would consider as critical. And they are mostly about the approach to the chosen sections of the post. First, A section of the post, which is basically about levels and improvement of performance, explains its main point with too many abstract sentences. Using this kind of approach in one of the sections of the body usually creates a dull reading experience since readers will be probably waiting for your solid point in a clear wording like it's done in thesis statements or a little more didactic posts even though it's not the concept here. What I would suggest as a solution to such an approach and choice problem is classifying the sentences as main(or argument) and support sentences while planning the post structure. Then, choosing a good ratio depending on the density of the argument related to the main point. Although supportive sentences are required to reflect a view in almost all kinds of editorial content, an imbalance of these two creates a must-avoid situation. Therefore, picking the right ratio is very critical. Besides, A section is too general to be one of the main parts of an open source related blog post. It's simply talking about performance and way too abstract to differ from general self-development content. Considering B section, the thing which is not the good choice there is providing the whole section as a report, in a format wouldn't be appreciated in a blog post. I think I can say that most of the blog readers don't like to read raw reports in the flow of the post. In a nutshell, the first main section is not directly open source related, and the second one is a report which is not to be considered as an additional value(even though it's a little subjective) to the community. And since they also lack in general writing as I have told above, it is a very weak blog post. I think I pointed out everything I could. While hoping that my feedback creates a positive result, I want to thank you for your contributions and efforts for Utopian. Thanks @roj for the time to put in the review and also constructive comments. Will keep this in mind when I do the 4th one in this category next week. There is a small mistake (permutation) with the moderators. Thanks @sintorniz. I've corrected it. Congratulations! This post has been upvoted from the communal account, @minnowsupport, by rosatravels from the Minnow Support Project. It's a witness project run by aggroed, ausbitbank, teamsteem, theprophet0, someguy123, neoxian, followbtcnews, and netuoso. The goal is to help Steemit grow by supporting Minnows. Please find us at the Peace, Abundance, and Liberty Network (PALnet) Discord Channel. It's a completely public and open space to all members of the Steemit community who voluntarily choose to be there.